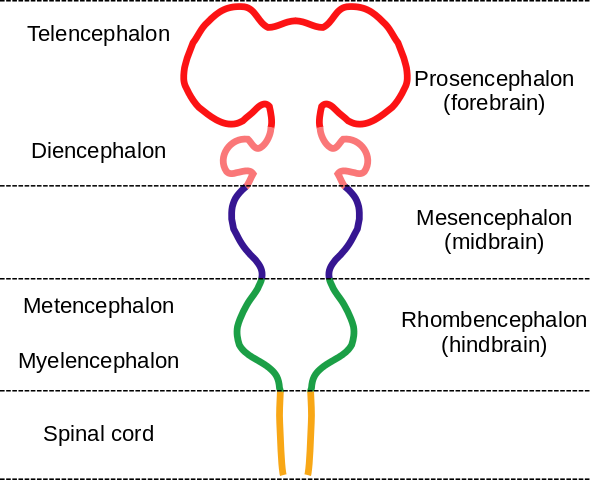 Its unique and fairly uniform structure (sometimes termed “canonical”) allows for great plasticity in functioning. 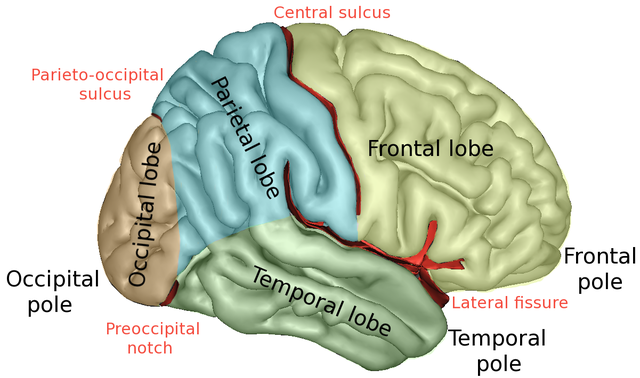 It consists of layers[ref]Six, in the striate cortex. [/ref] of gray matter (neuron cells, dendrites and synapses) on the outside (distally) and white matter (axons) beneath, although the difference in colors is less pronounced than those terms may imply. 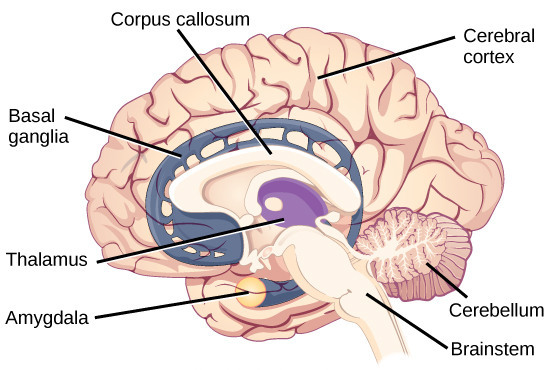 It consists of two lateral hemispheres joined by a bundle of axonal connections, the corpus callosum.